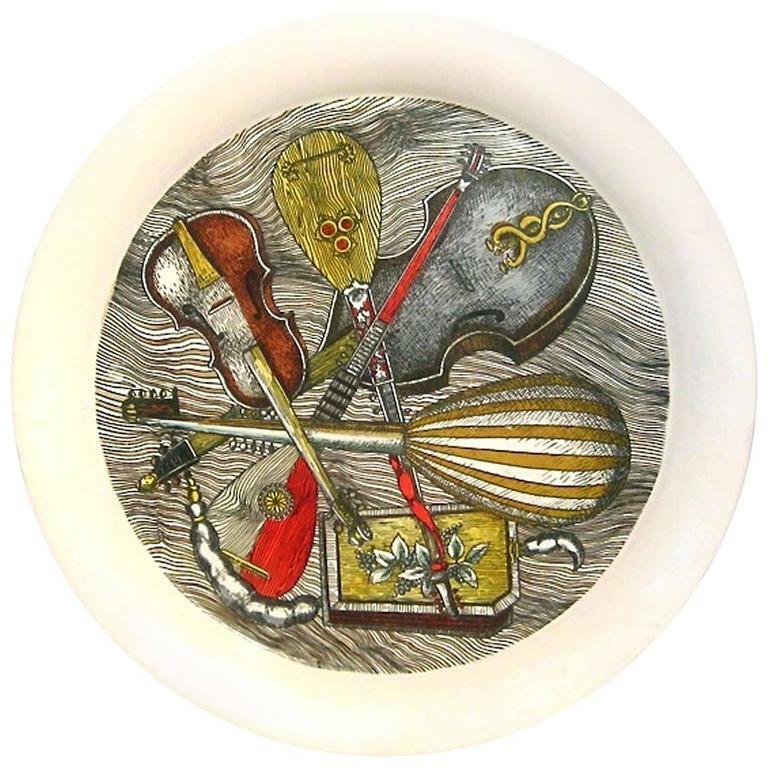 Rare circular tray in Piero Fornasetti's Strumenti pattern with a variety of stringed instruments on a white ground. Typical frits to edge in one place. Reference: Fornasetti: The Complete Universe, edited by Barnaba Fornasetti, page 615 #164 for a colour illustration of pattern. 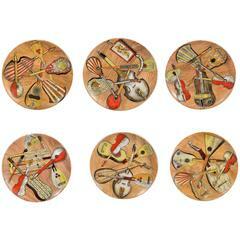 Fornasetti: Designer of Dreams, Patrick Mauries, Page 171, colour illustration of a plate. 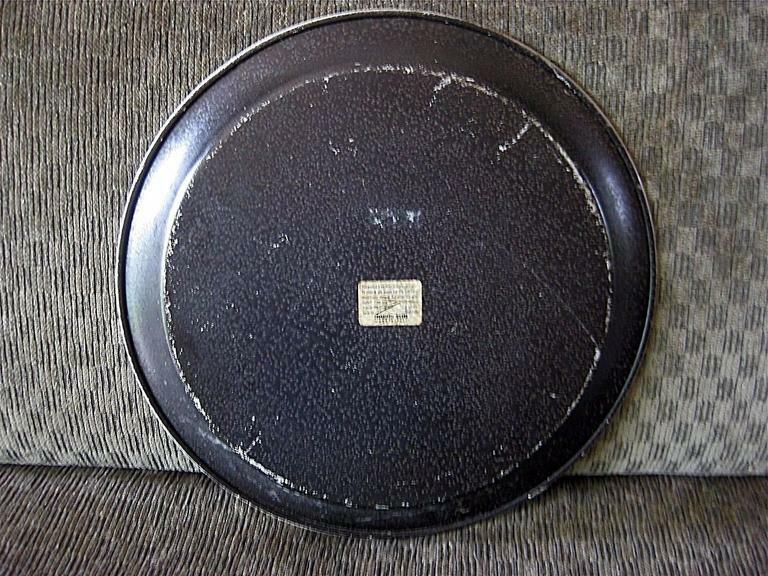 Piero Fornasetti metal steamboat tray, early 1950s. 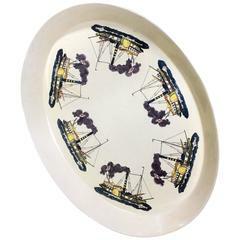 An oval metal serving tray with high sides on a white ground with steamboats in the round. Teak tray table or occasional table, Jens H. Quistgaard, Denmark, 1950s All original example with teak removable top and solid teak legs. Measures: H 17.38 in. x Dm 19.5 in. 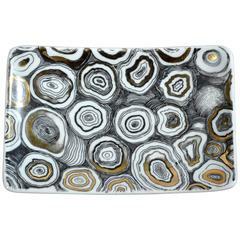 Large rectangular tray with simple curved chrome handles, wood and chrome frame and mirrored framed glass base.